Only some painting left to get rid of the white stuff. I'm also thinking about putting some leds inside the case but it already looks great so we'll see. The most I could squeeze from my 6600K is 4.5ghz OC @ 1.28V with LLC set to turbo. Thanks to the be quiet! Silent Loop 280 my CPU stays at 30°C idle and 70°C during max heat test in prime 95. Fans and pump speed are set manually to turn max speed at 70°C. It's quiet AF while gaming. The pump runs at 60% speed all the time - dead silent. I haven't tested other pastes on this rig so I don't really know if it's really the best. It spreads well, it works well. It looks great, strong PCI-E slots. I don't have a disc drive so I had to install windows from pendrive. I had to download Windows USB Installation Tool to add USB drivers to the bootable pendrive. After installing Windows my pendrive wouldn't work so I had to put all drivers on my laptop's hdd and connect it to my pc. I don't know if it's the MB fault or not, maybe they have some fix to download but I had no internet cable so that was the only way to fix the problem. Also my DDR wouldn't work on XMP but after updating BIOS it works fine. Also fans app you can install is ****. It would turn my fans to 100% for 1-2s and then back to my setting (in idle). You're better off setting the fans in bios. The only programs worth installing are Easy Tune (faster live overclocking, you don't have to reset the pc all the time). After you find out your stable OC I would set it in BIOS anyway and uninstall the program. 2nd program is @BIOS, updating BIOS have never been so easy. Also SATA cables are white-silver-ish. That's a shame. After all, I think it's a good board. Good looking DDR. 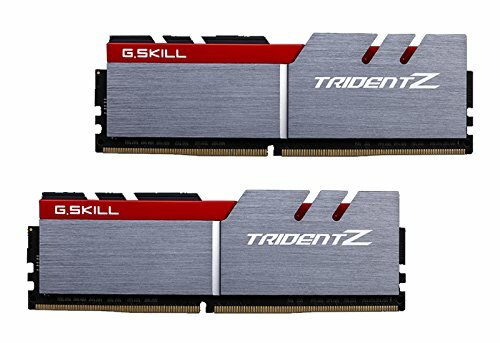 At first I looked at Ripjaws V but they seemed cheap and plastic so I went with Trident Z. No regrets. Solid and beautiful. I didn't have any problems with the SSD. It works great, Windows 7 Ultimate ready in about 7s, fast loading times. Once you see your desktop, it runs everything in no time. No waiting for it to load autostart programs. I was going for Gamin X at first but this one (Gaming Z) was pretty much the same price so easy choice. The most I could squeeze from it is extra 50mhz on core clock without increasing voltage so it's now running @ 2050mhz in turbo boost. Increasing voltage didn't help me push it more, it would crash. GPU stays @ 70°C on full load. You can of course lower the temps by increasing the fans speed but it will be louder and I see no point doing that cause 70°C is not that high. Pretty spacious, you could easily fit custom water cooling in it. The only drawback is the space for the fans at the top. If you install some fans there, you'll still be left with a hole alongside those fans. So unless you buy a filter, I wouldn't put any up there. Unless you like to clean dust pretty often. I was aiming at EVGA 650 gold but this one was same price so no brainer. All cables are fully black and coated. So far working well. Low pings thanks to 5ghz connection. Good colours, good quality, easy to mount. I was worrying that the screen will be to small for that resolution but it's perfect. I had 15.6" laptops most of my life so 24" is already big jump. I think 27" would be too big and less pixel dense so I chose good. The graphics in AAA games blows away. Nice build man. Looks real good. wait "be quiet!" has AIOs? ah, lol the thing is expensive too. It's not that bad :P Mine is 280mm but there is 240mm for 110 quid so similar price to corsair's AIO. I looooooove red! Nice build bro!! Great job dude. Just used the same motherboard you did, and I love that AIO! Hey man, nice build, as some parts do not have a pricing, what is the true value of this completed build? If only I knew as much as you. A lot of the things you talked about completely went over my head. I'm not a total noob though lol. I love the consistent color theme! Is ur gpu noticeable when playing 1080 and 1440 games? I don't have 1080p monitor so I don't know how it compares but with my gear, you can have 50-60-ish FPS in AAA games. Very high or ultra settings. I presume you'd get around 90fps in 1080p. You can find comparisons on Youtube. I'm looking to put a be quiet! Silent Loop 280 cooler into a Define S too. You have great temps, though I'm going to be stressing mine a bit more. It looks like you have the radiator in the front, correct? In the top 2 fan slots? How quiet is it? I saw a suggestion to swap the pure wings 2 cooler fans for silent wings 3. Hi. Yes, the radiator is in the front. The front has the dust protector, the top has not. I don't know if you can buy it seperately. So I just installed it in the front. By the way it's pretty tight at the top and I dont know if it would fit. When I'm gaming it's very quiet because most workload is on the GPU not CPU. On the CPU stress test however it's noticable. 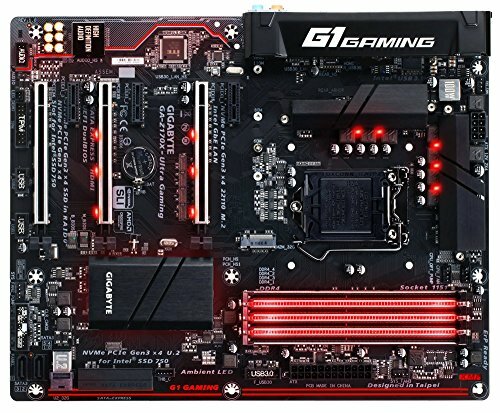 Haven't used other AIO's to determine if it's loud or not.